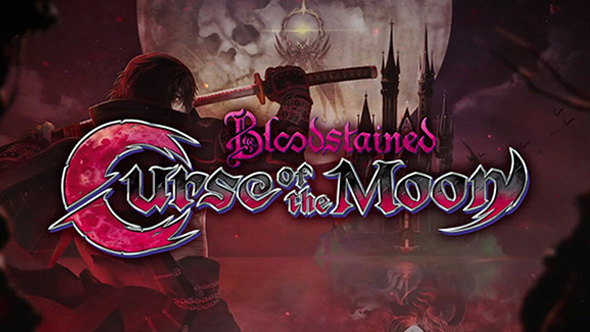 Castlevania spiritual successor Bloodstained will get a spin-off prequel game on May 24 called Curse of the Moon, and it’s a retro love letter to the original Castlevania games on NES. Long-running Castlevania producer Koji Igarashi, who is directing the crowdfunded Bloodstained: Ritual of the Night, took to Youtube (spotted by Appuals) to introduce the game – along with a new trailer and a release date of just next week. Curse of the Moon is being developed by Inti Creates, who are assisting Igarashi’s studio ArtPlay with Bloodstained and its Kickstarter. The spin-off was one of the higher stretch goals on the campaign, which was reached, and this is the first time the game’s really been seen – it was previously just referred to as a “retro level” and it seems to have been significantly expanded upon since it was announced. The main player character is Zangetsu, a sword-wielding demon slayer “bearing a deep grudge”. Bloodstained’s protagonist Miriam is also playable, as well as “master alchemist” Alfred and probable vampire Gebel – who is the villain of the main game. It releases May 24 on PC for UDS$9.99, and its Steam page is already up. Kickstarter backers who backed at a certain level will get the spin-off for free, and codes should be going out to them soon. As for Bloodstained: Ritual of the Night, it should be out this year and seems to have a vampire version of Mary Poppins as a boss, because of course it does.